Our software-oriented program provides a solid foundation in the breadth of core computer science knowledge and skills. The BA/BS in Computer Science is a software-oriented program that provides a solid foundation in the breadth of core computer science knowledge and skills, such as software engineering, networks, and data structures. Upper division electives build upon this foundation, allowing students to explore advanced topics of interest. The program culminates in our year-long Capstone Sequence. Students work in teams to design and implement software solutions for real-world clients, providing them with important resume-building experience. If you enjoy computing and wish to develop your logical thinking and problem solving skills, you are a perfect fit for this program. Lower division math classes and our introductory Computer Science sequence provide students a firm foundation in complex problem solving and computer programming. 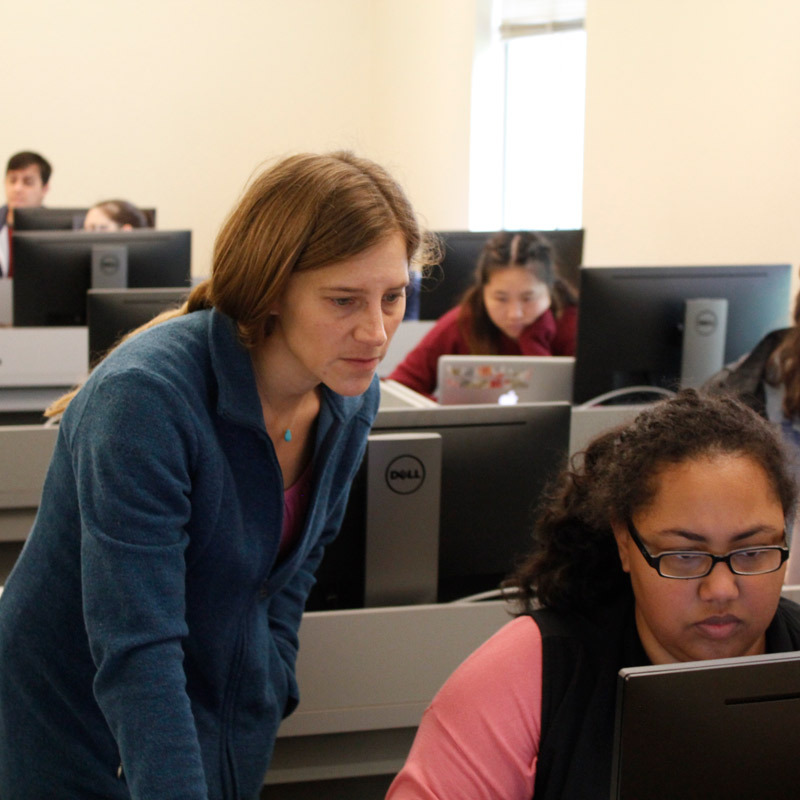 Upper division core courses explore the range of computing theory and practice. Electives allow students to focus on advanced topics of interest. In their final year, students complete the Capstone Sequence. Student teams are paired with real-world clients in need of a software solution. Our students design and implement software to solve the client’s problem.